One of the reasons why skiing Vallons in La Grave you don't stop under the main glacier to take pictures as you never know what might fall down!!! Avalanche yesterday on Colle di Chamole, above Lago di Chamole, in Pila. Group of around 20 from Emilia Romagna; 2 killed, 2 in hospital. Difficult to know what led group to be there as slopes on both sides of Colle, towards Pila and Arbolle, are well known for instability, and fresh snow and fluctuating temperatures in past week would have contraindicated. Rescue operation involved divers as it was feared the debris had carried victims into the Lago. I agree, a dangerous place, although I did occasionally see tracks over there through the winter. There is a recognised route in the bowl to the right looking up, to the pointe monpers, maybe they were off route. I also witnessed a small slide onto the blue piste near the top of the Chamole lift. I reported it to one of the piste patrol, he took it very seriously. If you are heading off piste just a heads up that the conditions are very sketchy at the moment for skiing, at least in the French Alps and Pyrenees. Skiing that is often mediocre below 2400 meters. 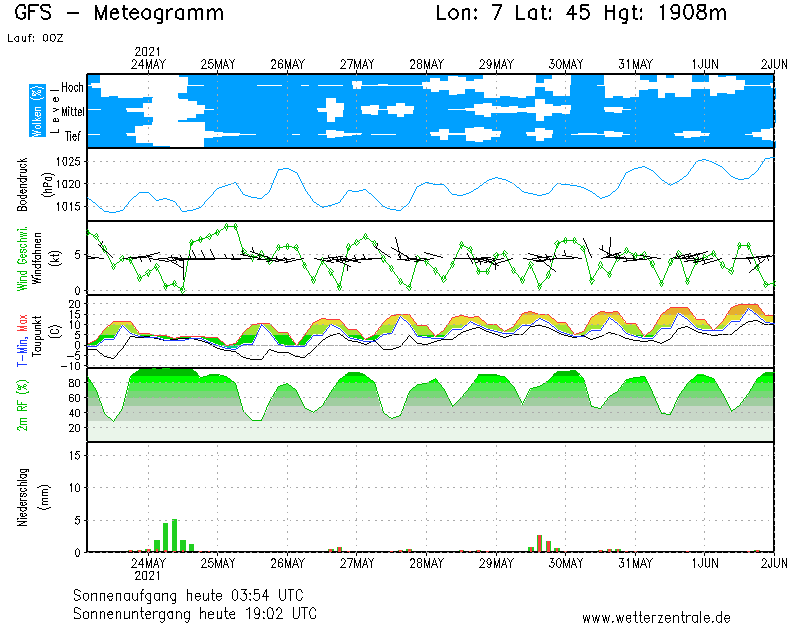 The zero isotherm has been above 3000 meters for the last few days and the foehn that blew last week has humidified the snow-pack down to weak layers that formed early March (at 60 to 120 cm depth). 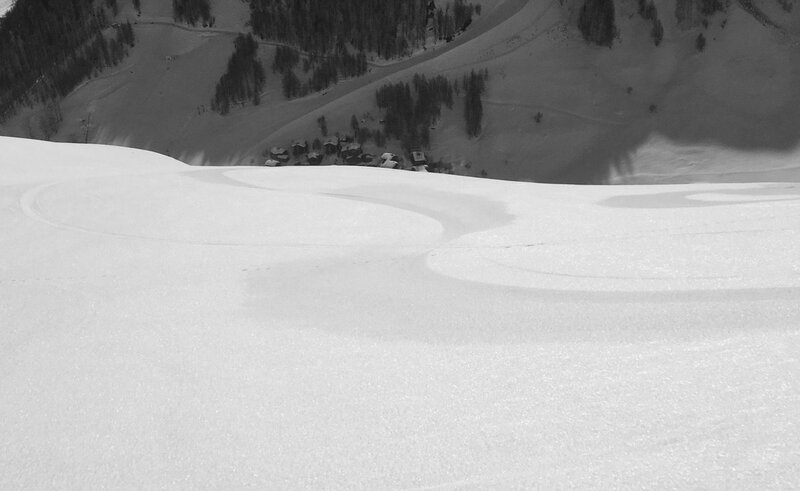 It is possible to trigger a wet snow avalanche that can then take the entire snow-pack (4 meters depth at altitude). There is little refreeze so early morning is only marginally safer, it should all stabilize once there is a drop in temperatures. Remember that N.E. to East slopes get the sun very early in the morning at this time of year. A group were surprised by a full depth avalanche at 6.30 am on Sunday in the Beaufortain. Your Airbag is of limited value if you are caught in a wet snow avalanche as the process of inverse segregation doesn't work well. Here’s the Aosta avi forecast. I think it's the first time that I've noticed Cornu (Brevent, Chamonix) closing post 12pm (yesterday) due avalanche risk. Know of one couple heading back to the UK this week (ok they don't ski off piste/tour) because of the grim weather / forecast up to the end of the season here. Forecast seems to be fresh now most of the week with freezing level in the daytime ranging 1700-2200m. What's not to like. Would given anything to be out there! Well bad weather has been a bit of an issue in the Northern Alps all winter so I can understand. As someone else said on Snowheads it has been a case of big snow then rain then foehn then snow, rinse and repeat. Just reading Le Tour is threaten by a huge avalanche upto 3m deep. They temporarily closed the front side and when they evaluated releasing it they thought it might take out the lift! Never seen so many avalanches together as recently in the Chaviere valley. Those on the E side tended to be mostly snow but on the W side there was an awful lot of earth mixed in it. Seems the sheer layer was just below ground level which simply couldn’t hold the weight above. Some blocks perhaps a metre deep perched above grassy slopes. Very strong winds today have formed more slabs, this one crossed the closed Olympic piste at Chamrousse. Locked down in Tignes Le Lac. A couple of slips onto the road between Lac and 1800 then a massive pisteur induced one. Road shut until 11pm at the earliest - emergency accom in Tignes Espace. In the Pyrenees the temps have dropped back down to normal and will continue descending for the next few days (accompanied by plenty of snowfall; up to a metre in total). Almost all resorts are now closed, with the couple of usual suspects such as Piau Engaly closing on Sunday... And lastly the three die-hards that one would expect: Pic du Midi, Arcalís and Masella all running until near to or right up to the end of the month. Masella will be just a week shy of a 6-month season; it typically has one of the very longest seasons in the whole of Europe for a non glacier resort, I believe. The thoroughly wet snow problem is fortunately running out of steam, and it's back to this year's "normal": surprisingly wintery conditions. The boss of a major retail group is missing after a ski tour near the Klein Matterhorn @ the Swiss/Italian border. Might have a chance to do 3 or so nights touring from a hut in the Maurienne valley with a friend end of next week/next weekend. Hut is at about 2200m and the ascents go to around 3000-3600m. Looks like a choice of South, West and North-West ish facing routes. It's going to be unseasonably warm with freezing levels as high as 3600m for the duration, but probably with clear skies Tues-Sat/Sun. Are we likely to see a good refreeze with typical spring conditions (perhaps shifted earlier in the day than normal) or will the freezing level be too high for the slopes to harden up properly overnight? @musehead, Averole for the Albaron? This photo was taken last Sunday not a million miles away in the Chaviere valley running south from Pralognan. We were at about 2000m just after a place called Ritort headed towards the Refuge de Peclet Polset. As we stood there an avalanche causing the brown streak on the left slid down across our intended route. The slope was almost east-facing. We changed plans and stuck to the left hand side under a less intimidating slide on the west-facing slope. However, just around the corner we saw the remains of an even bigger slide on this side and had to cross back again. We made it to the refuge but the forecast of 100+kph winds, warm temps, snow and poor visibility made us turn around the next morning. Most of the slides on the east-facing side were full depth - if not more! Many of the slides further down the valley included lots of grass and rubble as though the sheer layer was actually below ground level. The west-facing slides contained a higher proportion of snow and needed more gradient to release but most were still huge. Not much rain, wind, or even cloud, but the temp will be sky high. @altis, Yep you're right, although not necessarily for the Albaron itself, looks like lots of options from there. Thanks for the photo, managed to find the location on a map. That's a scary looking face! What were the temperatures/freezing levels like at the time? It was certainly warm but not sure exactly. The car showed 10C when we drove across Pralognan just before 8 in the morning and I spent most of the day in just a short-sleeved merino base and a windshirt on my top half. @musehead, I think it will be risky - you would have to hope for refereeze, stay high and north facing and get off the mountain early. The Patrouille des Glaciers is supposed to be running at the weekend and is also at risk. Decided to put off the touring trip, not comfortable with the prospect of ~3500m FLs and strong sunshine along with all the extra snow on the ground this year. Slightly ironic that late season touring seems to have taken a hit from the generally splendid season that we've had. "If the avalanche returns my dad before July, it will be good news"
Testimony The young man whose father is still missing after the avalanche of the valley of Arbi (VS) tells the end of research and mourning. Nicolas Wuilleret was far from the Vall d'Arbi (VS) on March 16 at midday. The young man was climbing with a friend in the creeks of Marseille when an avalanche took away his father, Guy, and five other skiers above Riddes (VS). Two of them were rescued while three bodies were found. Today, only Guy Wuilleret is missing. President of the Vidy Sailing Club for over twenty-five years, the latter is still officially missing. But faced with the obvious, the family had to make up their minds to start mourning weighed down by absence. A dramatic situation that his son Nicolas agreed to talk about. "We decided to let time do it because everyone did the maximum"
"This work of mourning without body is difficult because it seems to move forward with an anchor. We know that there will be a phone call in a few weeks or a few months to identify my dad and that it will be a sudden return. Suddenly, it just makes you want to wait, or even let go. "The young man speaks quietly of the past weeks but said expect" a monumental backlash. " As a paramedic, he explains that his profession has influenced his reactions. "At first, to protect myself, I was very procedural. I wanted to handle the situation as if I were at work. Now, I realized that I was mostly a son and that I had the right to be sad. I am well surrounded, I have friends who know the mountain, who have already lost loved ones, and I can count on my friend, who made me "live normality" in this abnormal situation. I really needed it. " The abnormal situation began on March 16, when Guy Wuilleret was swept away by an avalanche while skiing with two relatives. One managed to escape the slide, while the other was not completely buried and was rescued. A group of three young Alsatians were also swept away. "I heard the news at night in Marseille, turning on my phone. I had a lot of calls in my mother's absence. She knew that my father was potentially in this sector at that time, it is a place where we often go, it allows to join La Tzoumaz since Verbier. Besides, if I had not had this trip to France, I would have gone skiing with them. " Quickly, Nicolas Wuilleret understands that his father is actually concerned. He returns in an emergency and asks his mother to contact the Valais police. "We had information about the current research and the type of avalanche." The latter would be part spontaneously, without being triggered by a human. Familiar with the mountain, the young man knows the statistics and knows that the chances of survival are low. "So we hang on to miraculous survival cases, but the spring snow is so heavy ... And if the dogs do not find anything, it's because there are huge quantities." The slide is 150 meters wide. 400 meters long, and Guy Wuilleret, left for a day of quiet alpine skiing, did not take away his device for finding victims in case of avalanche (DVA). Follow long hours of research with important means. "From Saturday morning, we were not looking for survivors but bodies." And, very quickly, the family must ask the question of costs. The corpses of the three young Alsatians will be found. On Wednesday night, five days after the avalanche, the rescuers searched all the places where material evidence was found. "After several discussions, they advise us not to relaunch the searches. On our side, we know that they run the risk of a new avalanche on the spot. We also think about the costs incurred, even if it is a secondary consideration. Finally, we decide to let time go by because everyone has done the maximum. " Risk increasing to 4 during the course of the day in the Savoie at the moment, 3 in the rest of the N.A. There is an overnight refreeze with good spring conditions early in the morning but it is relatively superficial and you have to watch timings carefully as things are heating up very quickly. Remember that N.E. faces see the sun from 8am, East faces shortly afterwards. You should be planning on descending from 10h30 on South facing slopes for the next few days (obviously depending on local conditions and weather/cloud cover and altitude). After thinking about things I've decided not to ski this week, but that is also in respect to my timings, if you get out early and get back early there are good conditions. Yes, we often don't think about the aftermath - missing, injured. It is good that 24 Hours followed up on this. Avalanches are often seen as a binary thing - you are dead or you survive but there are also serious consequences for the survivors. 6 people missing still in the French mountains. Avalanche victims at Samoens and Beaufortain. Two missing skiers in the Pyrenees and a missing British skier at Tignes. With the snow cover this year the wait will be very long for some friends and families; assuming the bodies are found. Spring avalanches are kicking off all over. In the Pyrenees also the situation is worrying. 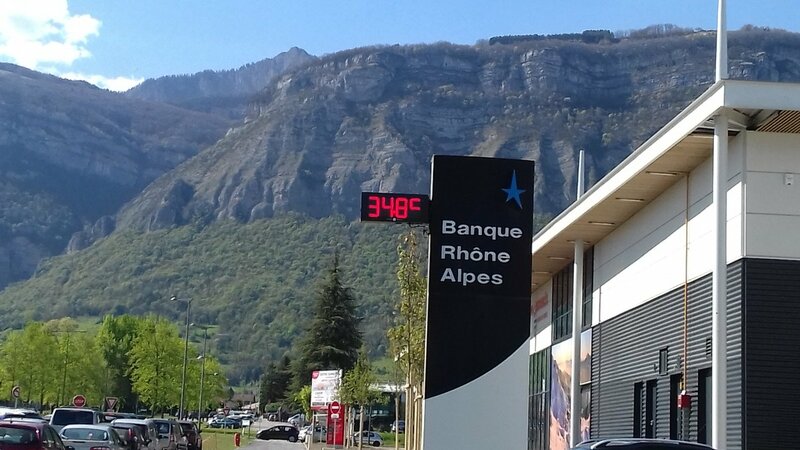 Since Tuesday and at least until Sunday, we will have high temperatures that will accentuate a little more snowmelt on the Pyrenean massifs mentioned Météo France. The snow is still important in this period more than usual and the high temperatures will accelerate the situation. There is still more than one and a half meters of snow from 1500m over a large part of the Pyrenees. In some avalanche corridors, they could increase by carrying all the snow in place and sometimes go down to the low areas or not snow-covered, warns Météo France. Avalanche alert side, we are currently on a level of three or four out of five. In addition, to return to the Alps, the Haute-Montagne Gendarmerie Platoon of the Alpes de Haute-Provence warns mountain users about the avalanche risk. The volume of snow is still very important for the end of April in all the massifs, and with a rust that is growing, the snowpack becomes more and more moist. Spontaneous departures can carry the entire snowpack in place. The risk of triggering avalanches when a hiker passes is very present. The PGHM reminds the safety instructions: learn about the weather, snow conditions and routes with mountain professionals, the PHGM Jausiers or the Météo France site. Do not leave without the Safety Shovel / Probe / Avalanche Detector (DVA) safety triptych. Remember to leave early in the morning when the snow is still hard, guaranteeing a better cohesion of the snowpack. As part of the hike, do not cross snowfields without being equipped (crampons - ice ax). The prefects of Haute-Savoie and Hautes-Alpes warn against a high risk of avalanches, and this because of the "spring temperatures" and the "redoux in the mountains". The warm, sunny weather in the Alps increases the risk of avalanches according to the authorities. The risk of avalanches "will evolve from limited to marked (level 3 out of 5)" on the Chablais and Aravis massifs, and "in strong risk (level 4 on 5) on the Massif du Mont-Blanc, indicates the prefecture of Haute-Savoie in a statement. 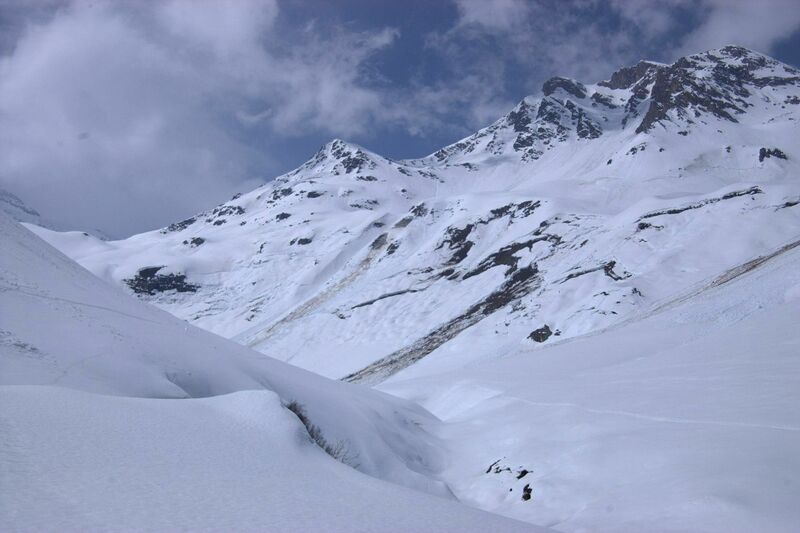 "Above 2,000 meters in particular, the sudden warming of the snowpack can cause many avalanches," it adds. Météo-France has also placed the Hautes-Alpes "strong avalanche risk (4 out of 5) from Thursday," at the mildest hours, says the prefecture of the department, according to which "the passage of a skier or hiker "can trigger a" potentially voluminous "avalanche. The prefects therefore call the "mountain practitioners, skiers and hikers on skis or snowshoes the utmost vigilance" and "recommends not to ski off-piste without inquiring of professionals mountain" and "without the essential equipment (shovel, probe, detector of avalanche victims ", adds the text which concludes:" Do not take risks with your safety and that of the rescuers.Keep renounce, be responsible ". 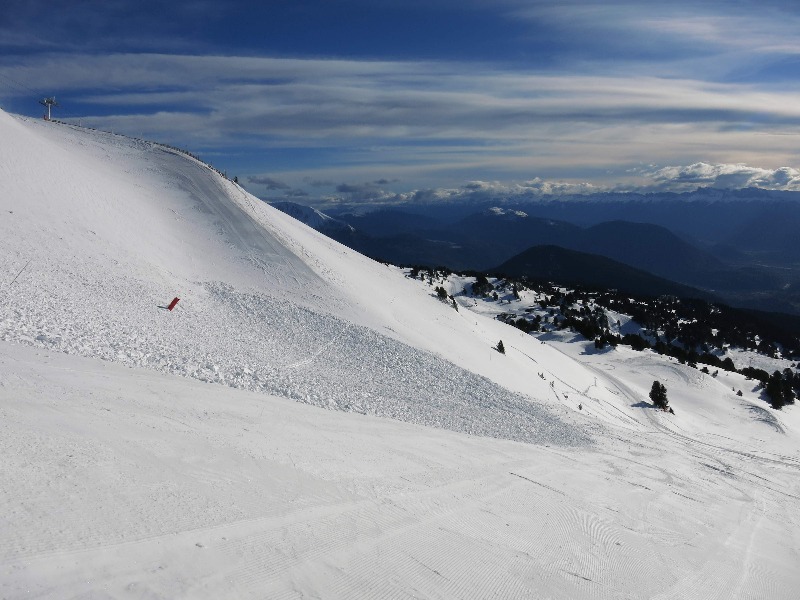 "Avalanches usually fire in steep terrain. Intense snowfall, strong winds or a marked rise in temperatures favor the triggering of avalanches, "notes the Natural Hazards Portal of the Swiss Confederation, which states that" 90% of the victims themselves triggered the avalanche that took away ". Watch the risk indices of the newsletter. The avalanche danger level is based on 5 levels. This year is particularly deadly in the mountains because of avalanches. When it kicks off close to home the impact is a little more intense. Attending to mundane domestic chores this morning when rumble, crash. A significant avalanche cascaded down the Schwarze Monch into the Lauterbrunnen valley. The time 10:30 , in reality this was a completely shaded face. It drove home the seriousness of the conditions during this period of very warm weather. Surprised to see large groups, leaving zero spacing, attempting steep east facing off piste slopes with obvious glide cracks at 15.30 today. The Grand Sablat route (I think it is called) at l'Alpe d'Huez. We spent two days skiing in Val Thorens from last Monday followed by the past three in Tignes. 1. The aftermath of a number of huge avalanches - including some that have crossed open pistes & that have now been cleared/pisted and others that stopped just before pistes. The problem with a spring snowpack is you can blast away and not have any effect then the whole slope can go. There is not much refreeze at the moment with the heat either - although bizarrely some frozen slopes too. With the thaw the bodies of two missing skiers in the Beaufortain have been recovered. I’m assuming they were HLR skiers. What a terrible tragedy. A bit more. In French.